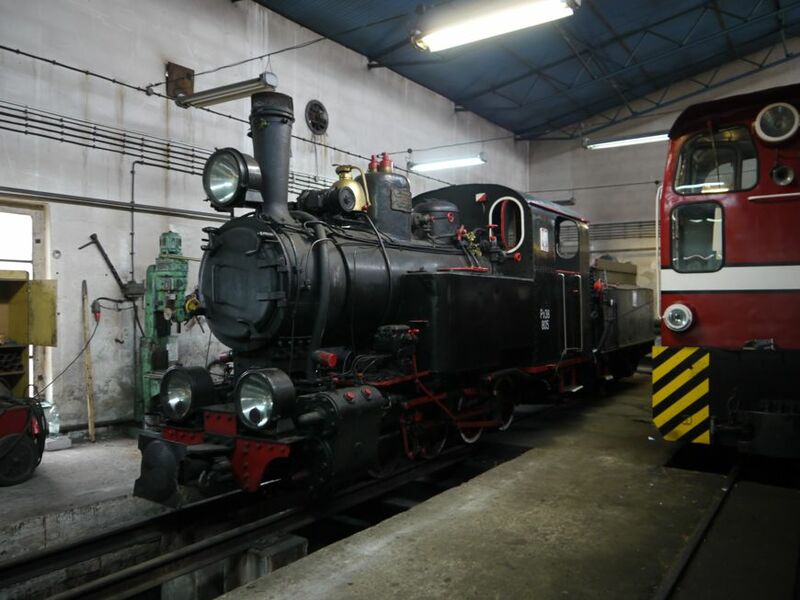 Railway Museum – here we go again! The Railway Museum at the former Warszawa Glowna station sits on some prime real estate. Photo BTWT. We were under the impression that PKP SA and the museum had agreed to give the museum three more years at its Warsaw location. Perhaps the museum has not been keeping up with its rent payments? 2ft gauge, neatly trimmed hedges, a well-kempt platform, recently painted coaches… the scene could be North Wales. It is in fact the Znin District Railway just before the departure of the 14:40 to Gasawa on 13 July, 2011. Photo BTWT. The head of the same train. The visit of a friend from my schoolboy volunteering days on the Talyllyn Railway provided a ready made excuse to revisit the Znin railway. Photo BTWT. Echoes of Portmadoc, the sharp curve at the throat of Znin station. Photo BTWT. We pass the 14:30 from Gasawa at Wenecja Museum. 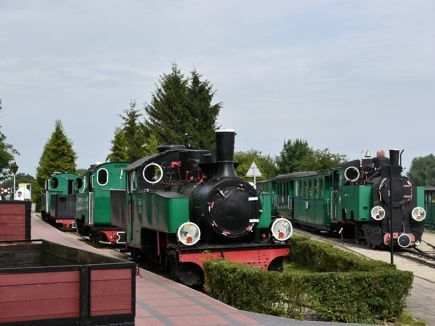 The Znin Railway runs two trains during the summer season. Photo BTWT. The Polish curse – heritage steam locomotives stored in the open – at Wenecja Museum. My first visit here was in the 1970s! Photo BTWT. 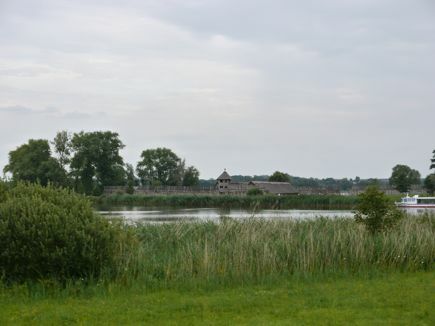 The reconstructed Iron Age settlement at Biskupin is a powerful tourist magnet for the region. Photo BTWT. An invitation to see the line’s solitary working steam engine, Px38 805, proved irresistible. Photo BTWT. 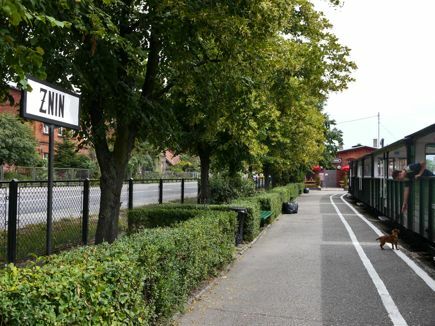 The railway links many local tourist attractions. 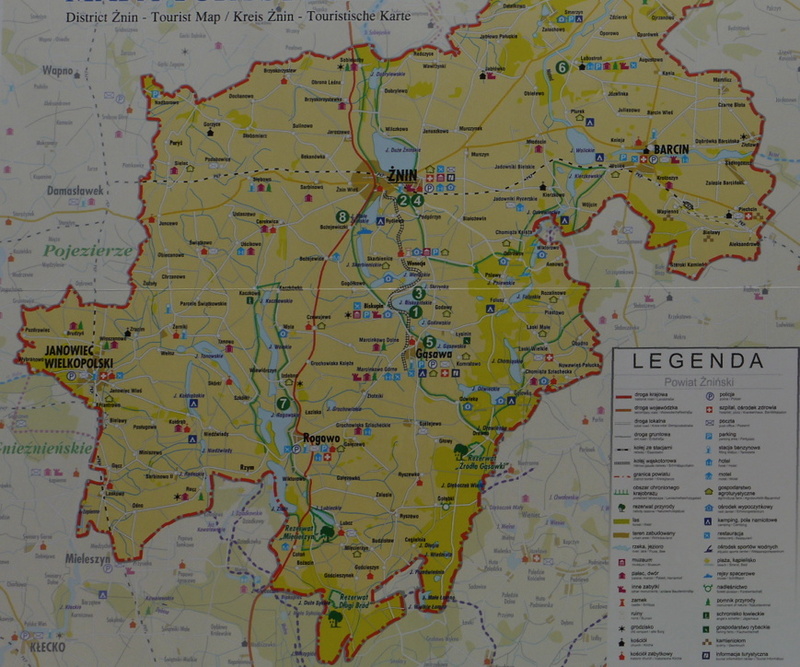 A map put up by the Znin District Council and displayed outside the open air railway museum at Wenecja. Photo BTWT. SKKW committee members meeting outside Ozorkow Station on 9 July 2011. Photo BTWT. 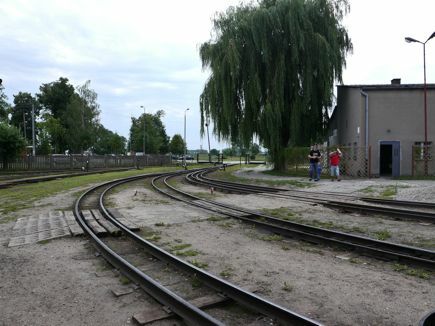 When Barbara Herman, the Mayor of Krosniewice, kicked the Krosniewice Railway into the long grass, local supporters of the line suffered a crisis of confidence. 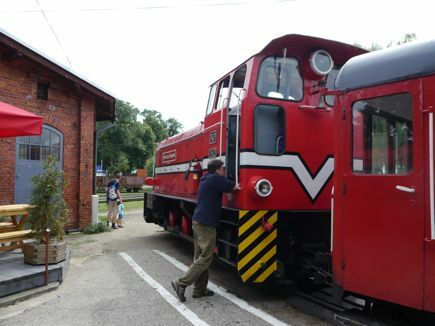 The local activists had constituted themselves into society, Stowarzyszenie Krosniewickiej – Ozorkowej Kolei Waskotorowej (The Krosniewice – Ozorkow Narrow gauge Railway Society) and, in the days when the northern part of the line had been operated by SKPL, had single-handedly restored the southern part between Krzewie and Ozorkow. Relations between the Society and SKPL’s local management had never been good and when Barbara Herman terminated SKPL’s operating licence SKOKW looked forward to a better relationship with the local council. But matters progressed from bad to worse. 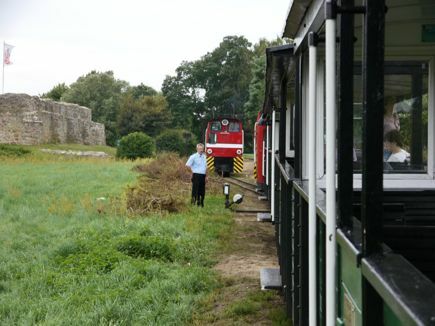 The Mayor repeatedly turned down the Society’s requests for permission to cut down the undergrowth or to conduct restoration work on rolling stock stored in the open. Over the last couple of years vegetation has taken over the track bed to the extent that in most places the railway line is not only impassable it is also unrecognisable as a railway. The SKKW platelayers trolley being prepared for service. Photo BTWT. Frustrated that Wojciech Szegendowski, the historic monument conservator for Lodz province, was blocking her bid to demolish the railway’s workshops to make way for a property development project, Mrs Herman began to plot for a way whereby she could take over the extensive railway lands in Krosniewice without the tiresome obligation of having to operate the line. The first part of her plan was to hand back the Krosniewice Railway to PKP and to support a plan whereby the local District Councils would take over the line from PKP and then hand it over unencumbered with any railway operating obligations to all the smaller councils over whose territory the line ran. To counter Mrs Herman’s plans, the SKKW reconstituted themselves as the Stowarzyszenia Kujawskich Kolei Wąskotorowych and approached the offices of the Chief Executives of Lodz, Kujawsko-Pomorskie and Wielkopolska provinces with a bold plan to eventually restore the whole of the Kujawy Narrow Gauge Railways of which the Krosniewice Railway was only the eastern section. The proposal was greeted with enthusiasm and for a time it looked as if all three provinces would back the plan and write it into their tourism development strategy plans. This was not at all what Mrs Herman wanted and she started to lobby extensively behind the scenes to demolish the SKKW’s credibility. The Chief Executive of Lodz province asked PKP to estimate the costs of restoring the Krosniewice Railway to running order and on receiving an estimate of several million zloty rapidly back-tracked and asked his officials to come up with several convincing reasons why Lodz province could not take over the railway. The end of the cleared section 3 miles from Ozorkow. Photo BTWT. 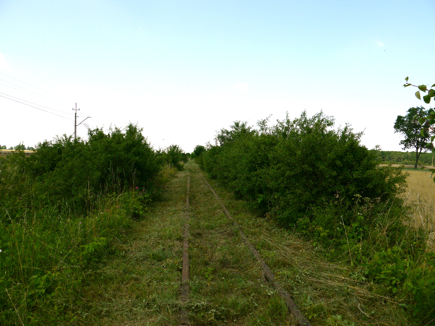 Now SKKW members are hoping to interest another local council in taking over the whole line and to that end have started to clear the track bed starting from Ozorkow Station. Now after 3 working parties over 3 km of track have already been cleared. Three-bogie 803N articulated tram working MKT service 46 at Plac Wolnosci on 30 January 2010. These trams were built by Konstal in the early 1970s and rebuilt with a new body style in the MKT workshops at Helenowek in the late 1990s. Photo BTWT. Lodz’s attractive interurban tram services – 43 running some 20 km westwards from Stoki on the eastern outskirts of Lodz to Lutomiersk and 46 running 37 km from Chocianowice on the city’s southern boundary northwards to Ozorkow have been given 6 months to live by Lodz’s mayor Hanna Zdanowska. 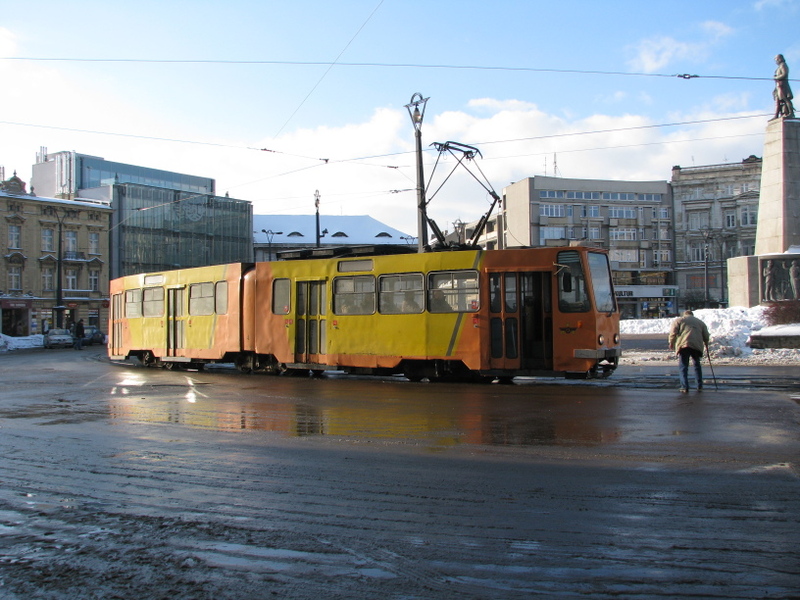 Three-bogie GT6 articulated tram working TP service 43 at Plac Wolnosci on 30 January 2010. GT6 trams were built by Düwag from 1956 onwards and 8 units – after being withdrawn from service in Bielefeld, Germany in 1990 – were bought by MPK Lodz. After the interurban lines were split off from MPK, these units was assigned to TP. Photo BTWT. On 28 June, Zdanowska gave 6 months notice that she will be withdrawing Lodz from the agreements which govern the operation of Tramwaje Podmiejskie (owned by Lodz, Konstantynow and Lutomiersk) and Miedzygmina Komunikacja Tramwajowa (owned by Lodz, Zgierz (Town), Zgierz (District) and Ozorkow). 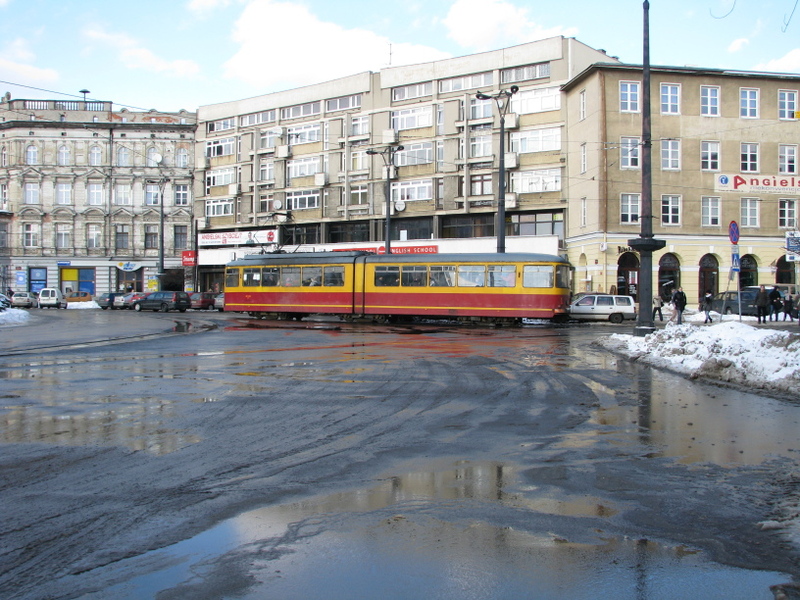 The official reason given for her action is that Zdanowska wants to force a take over the operation and revenue stream of the interurban services by the city’s tram operator, Miejskie Przedsiebiorstwo Komunikacyjne, leaving the remaining local councils to pick up the bill for maintaining the track. Residents suffering from rush hour grid-lock on the road to Aleksandrow (services were cut back to the Lodz city boundary in 1991) will recall the story current at the time that local councillors were promised certain favours by a rival bus company!